Built-in communities and tangible data points around successful podcasts can prove to be invaluable for unscripted buyers, according to Lore executive producer Brett-Patrick Jenkins. The SVP of development for A+E Networks-backed Propagate Content, whose recent credits include Oxygen’s adaptation of the true crime podcast Up and Vanished and Amazon’s scripted adaptation of folk horror podcast Lore, has said buyers must be more aware of how they can leverage savvy podcast audiences into viewers. “People that are passionate consumers of podcasts often own a nice smartphone and respond to ads. There is a community and it does translate to ratings. Unlike other forms of IP, this is an audience that you can really direct, and which will help deliver ratings,” Jenkins told delegates at this week’s Realscreen Summit in New Orleans. Businesses such as Apple and Spotify, which also produces its own original podcasts, provide data for producers, indicating the number of downloads as well as consumption rates, ethnicity and buying habits – key data that can inform engagement around a podcast and instill confidence in buyers keen to adapt a piece of podcast IP. 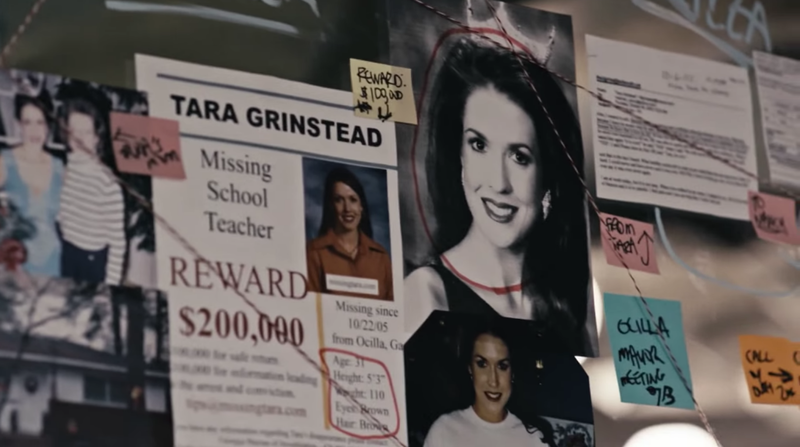 However, Jenkins warns against a “one size fits all” approach, noting that content ought to be tailored to specific talent, such as in the case of Up and Vanished host Payne Lindsey, who investigated the cold case of a missing beauty queen and school teacher in his hit podcast, which Propagate and Tenderfoot TV adapted for broadcast last year. “It would be hard to do the TV show without Payne. He’s the real driver of this style and point of view. But other podcasts, [such as something based on] a book, are adaptable without the talent you hear being seen on screen,” said Jenkins. Jenkins told TBI that there are myriad ways for a podcast such as Lore – which he originally sourced via Twitter – to be adapted. “We could have done it as a straight doc, but it ended up being much more of a scripted series because the IP and audience is incredible, but also the type of story we wanted to tell seemed more satisfying from a scripted perspective. While true crime is, to date, most closely associated with the podcast boom due to blockbuster hits such as Serial and S-Town out of the US and The Teacher’s Pet from Australia, the field is increasingly expanding to include other genres that are ripe for exploitation. WME agent Marissa Hurwitz, who specialises in digital-native talent for the agency, highlighted that scripted podcasting is “incredibly interesting” with up-and-coming shows including six-part narrative sci-fi comedy podcast Gay Future, which takes place in 2062 and reimagines a world in which everyone is gay. “Gay Future is an example of talent you can find in the podcasting space and the quality of work you can find there,” she explained. The exec also flagged comedy sitcom podcasts as another area that is “ripe for development”, noting that famous US sitcom I Love Lucy similarly began life as a radio drama before switching to TV. Hurwitz added that women are catching up to men as top consumers of podcasts, noting that female-skewing programming that can “flip easily into new derivatives, whether it’s touring, books, merchandise, TV or film” will be popular going ahead. Meanwhile, Donald Albright, co-founder of Up and Vanished co-producer Tenderfoot TV, added that innovations in technology will also have a major impact on the modes of storytelling to come out of podcasting. “Eventually you’ll be able to listen to a story and direct your smart speaker to do what’s next in the podcast. You’ll be able to talk to your speaker and say ‘I want Payne to go here to investigate this,’” he said.